Those bits has just been released at MIX 08 in Las Vegas! 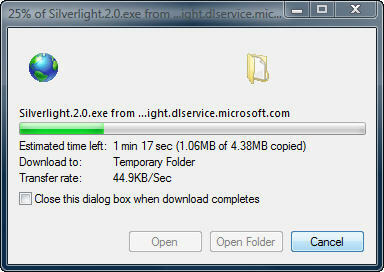 You might download Silverlight 2 Beta 1 here! Also Microsoft Silverlight Tools Beta 1 for Visual Studio 2008 ! For sure there are also lots of learning materials like videos, tutorials and Hands on Labs. Notice that Silverlight 2 Beta 1 also includes a Go-Live license for early adopters! And we will use it.